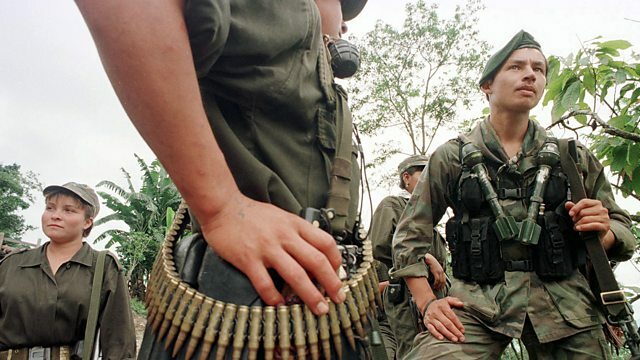 BBC World Service - The Inquiry, Can Colombia Reintegrate the Farc? Colombia is about to close a deal that will see thousands of guerrilla fighters emerge from the jungle and hand in their weapons. After more than 50 years of armed conflict that has left 200,000 dead and millions displaced, Colombia is on the brink of peace. A final deal between the government and the Farc guerrilla movement is expected to be signed soon. Thousands of armed fighters will then lay down their weapons in preparation for reintegration into a society from which they have been estranged for years. But the process will not be easy – for the Farc’s fighters, or for the rest of Colombian society.